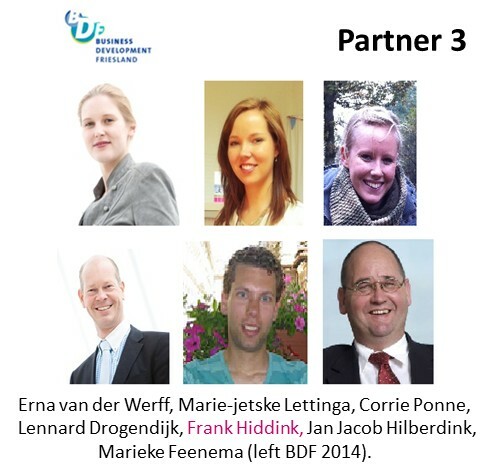 Business Development Friesland (BDF) is an international project agency with a team of 8 employees. BDF develops and executes projects focused on growth for SMEs, start-up companies and knowledge institutes. The projects of BDF always have a knowledge intensive character and evolve around (1) connecting people, (2) development of skills and (3) a practical approach. In addition to regional projects, BDF initiates (or participates in) European projects. BDF operates within a large international network of companies, intermediaries, local governments and knowledge institutes. BDF has been a Lead Partner in several European projects, like the Interreg IIIC Hanse Passage KickStart project and LdV projects Connessione and Pandora. BDF was awarded as nominee for the best performing project within the Hanse Passage framework. We find great satisfaction in leading our partners to cooperation and overcoming the differences between culture, language, attitude and regional divergences. Inspire Yowup on BDF website here.